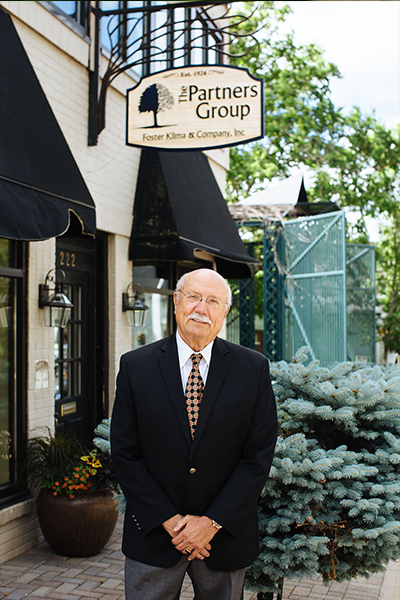 One of the founding partners of Foster Klima & Company, Inc. George Klima started his career in August of 1960. He and his partners, including the current management team, built a multi-family, multigenerational, Midwest Financial Services Company. He has earned numerous industry awards at a local and national level and holds both the Chartered Financial Consultant and Chartered Life Underwriter designations from the American College. Still involved with clients, George works closely with a select team of professionals to service and enhance their financial lives. As an active board member for the Baseline Club, George not only supports the University of Minnesota tennis team, but is also an avid tennis player himself.